You always hear on the news every couple of days a pedestrian was injured or killed. The cause of this is because of out of control of unaware drivers that hit them while they are along the road. Even sometimes it can be a person that was jogging without protective gear or maybe because the driver was drunk. These type of accidents unfortunately happen often. It’s highly recommended to know how to protect yourself and also what to do if you have been injured in an accident. The next step for after getting hit in an accident is to call a personal injury attorney in Chandler. Contact us today for a free case evaluation. You may always hear that pedestrians always have the right away. Not true, pedestrians do not always have the right away when crossing streets, it is simply a key aspect to avoiding pedestrian accidents in Chandler, AZ. 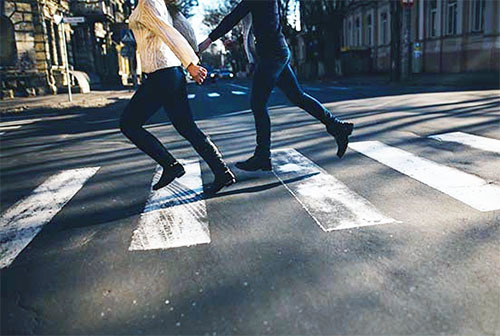 The pedestrian’s right of way is actually very limited to crossing the street properly by crossing at an intersection with traffic control signals. Which this means the pedestrian must obey the signals and being within a crosswalk doesn’t excuse violating the signals. Walk facing traffic so you can see oncoming cars. Carry a flashlight that will catch headlights if you are walking at night. Make sure you can hear cars approaching from behind. 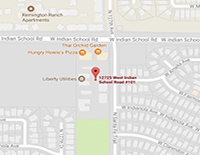 My AZ Personal injury Lawyers represents people in Chandler who have been injured in pedestrian accidents. 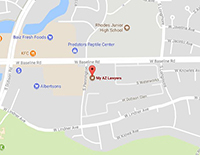 Our attorneys have secured compensation and represents clients who have been injured in pedestrian incidents. 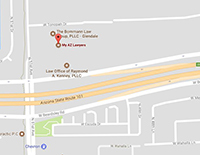 Our law office provides to you six convenient locations in Mesa, Glendale, Tucson, Avondale, Phoenix, and Scottsdale. Our legal defense is affordable with financing options available, as well as free consultations and case evaluations. Our Chandler personal injury lawyers are dedicated to winning by defending, litigating, and negotiating. We are the top-rated attorneys experienced in personal injury law as we know the Chandler courts, clerks, judges, and court system. Contact us to speak with a professional personal injury lawyer today. My name is Anthony Ramirez. 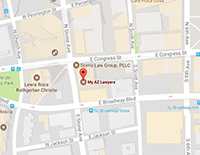 I’m a personal injury attorney with My AZ Lawyers in Mesa, Arizona. I’m here today to speak with you about pedestrian accidents. If you’ve been injured while walking is a pedestrian you have a very serious claim and need the help of a personal injury attorney. In addition to being an attorney, I’m a property casualty adjuster in the states of Arizona, New Mexico, and Texas, and have an intimate understanding of these types claims. If you’ve been injured by a vehicle while walking as a pedestrian, you need the help of a knowledgeable attorney. Please call us at 480-833-8000 and will be happy to help.